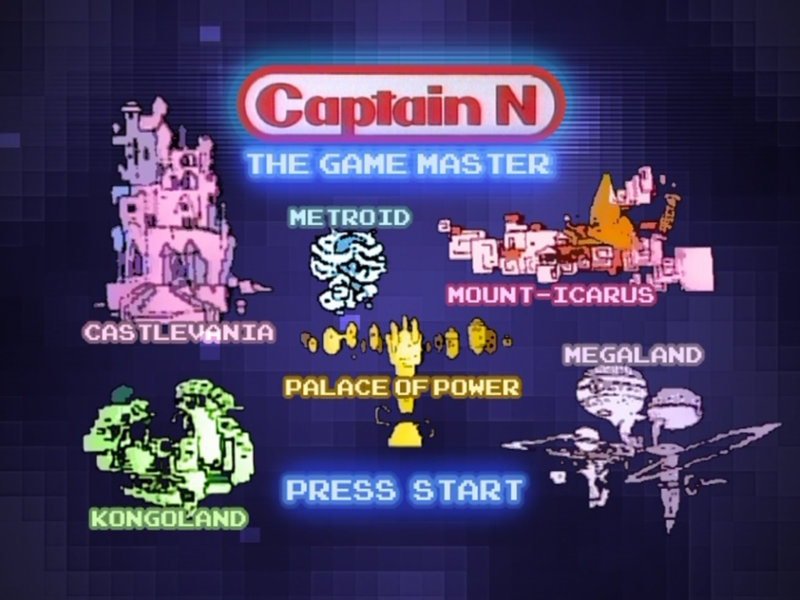 Hello, my name is Charles and I’m here to review the TV series Captain N: The Game Master. This TV series is comprised of 34 episodes which takes place in an alternate universe called Videoland which consists of classic NES worlds and characters. The NES worlds in Videoland are Bayouland (The Adventures of Bayou Billy), Castlevania, Dragon’s Den (Dragon Warrior), Excalibur (Wizards & Warriors), Final Fantasy, Kongoland (Donkey Kong), Hyrule (The Legend of Zelda), Megaland (Mega Man), Metroid, News World (Paperboy), Mount Icarus (Kid Icarus), Tetris, Puss ‘N Boots (Puss ‘N Boots: Pero’s Great Adventure), Nottingham (Robin Hood: Prince of Thieves) and Punch-Out!! 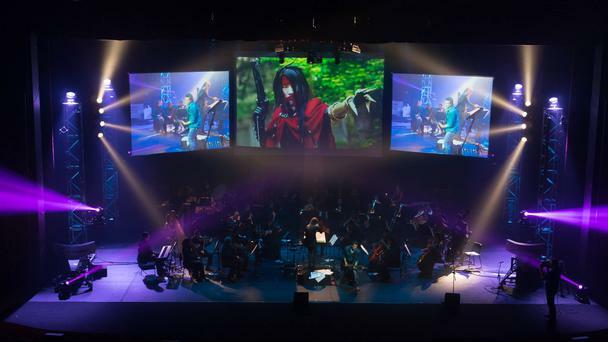 The protagonists of this series are Captain N (main hero), Duke (Captain N’s pet dog), Lana (princess of Videoland), Simon Belmont (Castlevania), Mega Man,Roll, Rush & Dr. Light (Megaland), Link & Princess Zelda (The Legend of Zelda), Kid Icarus (Mount Icarus) and Bayou Billy (The Adventures of Bayou Billy). The antagonists of this series are Mother Brain (Metroid), King Hippo (Punch-Out!! ), Eggplant Wizard & Medusa (Mount Icarus), Ganon & Rebonack (The Legend of Zelda), Dr. Wily (Megaland), The Count (Castlevania) and Dragonlord (Dragon’s Den). In conclusion, I found this TV series to be the greatest collaboration of Nintendo games to ever be televised as a fully animated cartoon of golden proportions. 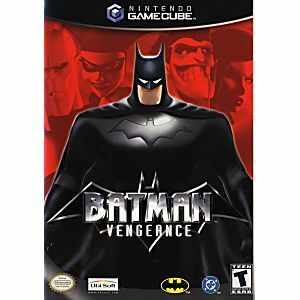 Hello, my name is Charles and I’m here to review Batman: Vengeance for the Nintendo GameCube. In this game, you play as batman as you try to save Gotham city from being destroyed by the forces of evil. The locations in this game are Gotham City, Gotham Bridge, Gotham Industrial, Ace Chemicals, Gotham’s historic GasWorks, FunniBones Warehouse and the Joker’s Blimp. The protagonists in this game are Bruce Wayne/Batman, Barbara Gordon/Batgirl & Commissioner Gordon. The antagonists in this game are Dr. Harleen Quinzel/Harley Quinn (Joker’s HenchWench)(Weapon: Giant Mallet), Dr. Victor Fries/Mr. Freeze (CryoGenic SuperVillain)(Weapon: Freezing Gun), Dr. Pamela Isley/Poison Ivy (ChloroPhobic SuperVillainess)(Powers: the Ability to Produce/Manipulate/Control any and all Plant Life) & the Joker (the Clown Prince of Crime)(Weapons: Machine Gun/Acid-Squirting Flower/Joker Toxin). In conclusion, I found that even if the odds are against him. The Dark Knight will never falter in his mission to defend the citizens of Gotham city. Hello, my name is Charles and I’m here to review Superman: Shadow of Apokolips for the Nintendo GameCube. 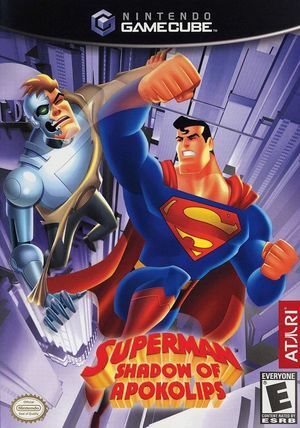 This game is based on the cartoon show Superman: The Animated Series. In this game, you play as Superman as you fight to save the city of Metropolis from the forces of evil. The locations in this game are the city of Metropolis, Mannheim Warehouse, Luthor Dam, Lex Labs, the inside of a extinct volcano, Stryker’s Island, LexCorp and the AutoFactory. The protagonists in this game are Clark Kent/Superman (Powers: Flight/X-Ray Vision/Heat Vision/Cold Breath/Super Spin/Super Strength/Super Speed)Weakness: Kryptonite), Lois Lane (Daily Planet Reporter), Jimmy Olsen (Daily Planet Photographer), Perry White (Daily Planet Editor), Maggie Sawyer (SCU Chief) and Prof. Hamilton (STAR Labs scientist). The antagonists in this game are the InterBots (highly-advanced Robotic Terrorists)Lex Luthor (businessman/LexCorp CEO/criminal mastermind), Mercy Graves (Lex Luthor’s assistant/chauffeur/bodyguard), Darkseid (the Omnipotent Lord of the planet Apokolips), Kanto (Darkseid’s right-hand man/Assassin), Leslie Willis/LiveWire (Powers: Manipulation of Electrical Energies/Converting Self into Pure Electricity)(Weakness: Water), Rudy Jones/Parasite (Powers: the Ability to Temporarily Absorb the Energy, Memories and Powers/Weaknesses of those he Touches) and John Corbin/Metallo (Powers: Kryptonite Energy Blasts/Super Strength). In conclusion, I found this game displaying Superman in another of his most heroic adventures to date. Hello, my name is Charles and I’m here to preview the upcoming movie Pokemon: I Choose You! This is the 20th Pokemon movie as well as a remake of the 1st episode of the original Pokemon series and of the same name no less. This movie features returning characters consisting of Ash Ketchum (the main character) and his partner pokemon Pikachu, Samuel Oak (a pokemon professor), Nurse Joy (a pokemon doctor) and the recurring villains of the entire series Jessie, James & their talking pokemon companion Meowth. This movie also features new characters exclusive to this movie consisting of Sorrel (Ash’s new travel companion & a pokemon professor in training) and his partner pokemon Lucario, Verity (Ash’s new travel companion) and her partner pokemon Piplup, Bonzi (a mysterious old man), Cross (an arrogant trainer & Ash’s Rival) and his two partner pokemon Incineroar & Lycanroc (midnight form) as well as the legendary pokemon consisting of Ho-Oh (the pokemon equivalent of a Phoenix) & Marshadow (a new legendary pokemon exclusive to this movie). 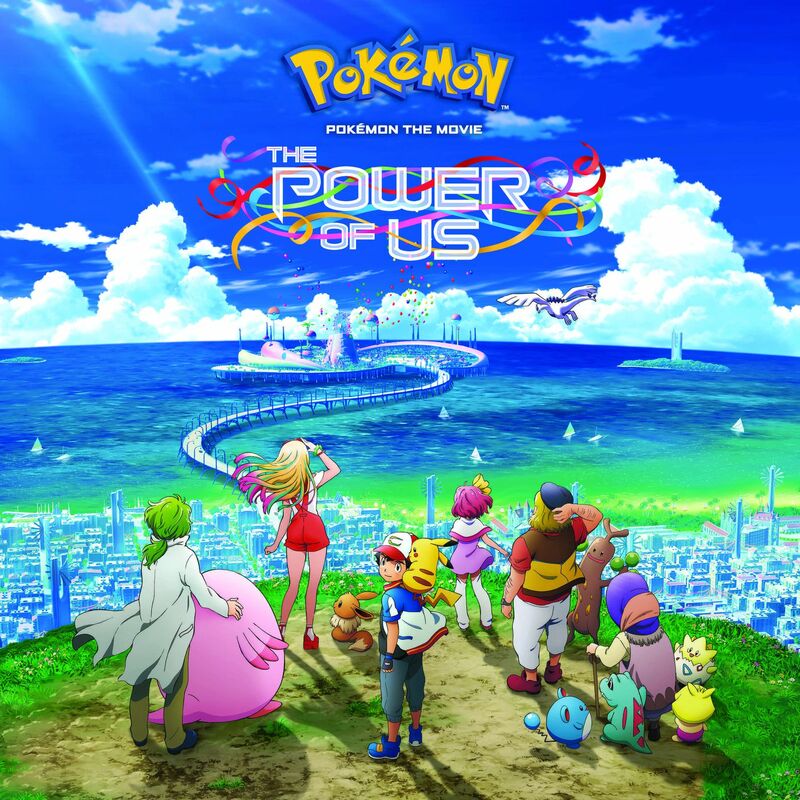 In conclusion, I believe that this movie is a celebration/anniversary towards the entire Pokemon game/TV series franchise and will have an US dubbed showing in US theatres for a limited time on Sunday, November 5 & Monday, November 6 this year.